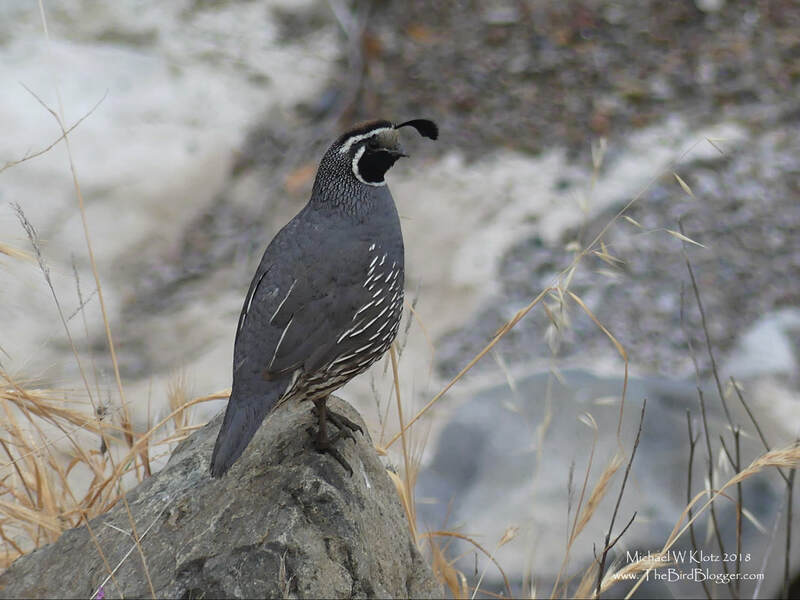 I finally got a picture of a California Quail in California. This bird was watching over a female that was making her way down a wash looking for breakfast. The area was dessert scrub with a some willow and sycamore along the canyon wall and dry stream bed. This particular area was adjacent to the Silverado Community Center. This very common game birds are found through out the state. Their range takes them from Mexico's Baja California north to Central BC. keeping to the western states within the drier areas.